What is Delivery Note / Packing Slip? 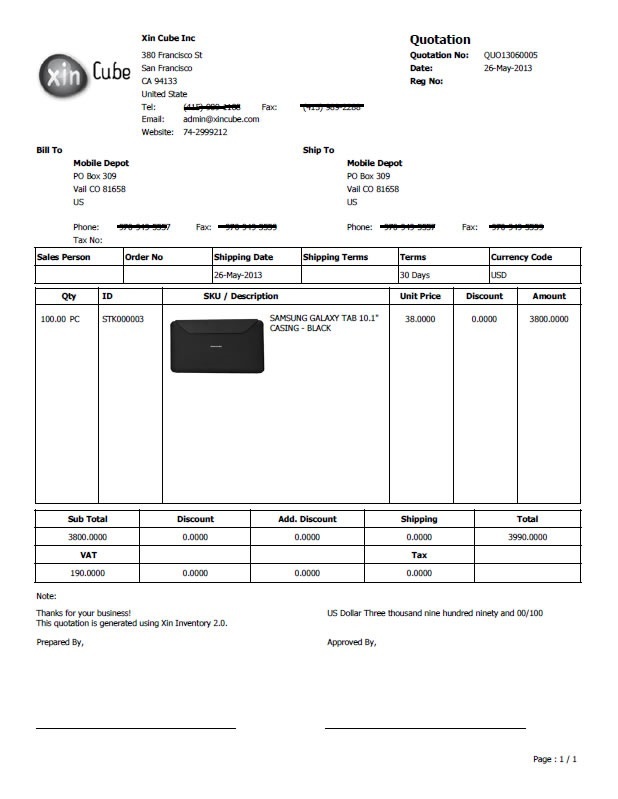 Delivery Note or Packing Slip is an official document from the seller send or ship to buyer together with the products. This document will stated clearly the product name and quantity so that the buyer / customer able to check and confirm product. What should we put in Delivery Note / Packing Slip? Information about the product and quantity should be clearly stated in Delivery Note / Packing Slip. Pricing and costing is not required because it's in delivery or shipping stage, cost is not involve. Seller information like company name, company registration, company website and contact information should be stated clearly. Buyer information like address and contact information should be printed our clearly as well. Others than that, reference number is a must for future reference or cross check with the buyer or customer. How Delivery Note / Packing Slip looks like? Below are sample Delivery Note / Packing List that are created using Xin Inventory 2.0. Click packing slip for more sample. How to create Delivery Note / Packing Slip? Below demo shows how to create delivery note and packing slip using Xin Inventory 2.0. Delivery Note can be created easily using Xin Inventory 2.0 by import data from invoice, copy from existing delivery note or packing slip or create from blank. User can select professional template from the software and print out easily.